A Cold Start doctrine would only have been possible if the given equipment and thinking was already available, and that is where Sundarji must be credited. Shekhar Gupta, in “General Krishnaswamy Sundarji, soldier of the mind who rewrote India’s military doctrine” (8 February 2018), wrote from a position of privilege. After all, proximity to Gen. K. Sundarji was the ultimate privilege for anyone writing about defence during that period. It would be an honour to get his guidance even today, such has been the impact of his intellect. But alas, his last post sounded way too early for him, and India. Gen. Sundarji’s tenure as Chief of Army Staff has been analysed threadbare. Shekhar Gupta’s tribute goes a long way in settling the score evenly, although the late General continues to carry the cross for a couple of political decisions that resulted in avoidable military operations. Mr Gupta, however, overlooks a couple of Sundarji’s lasting contributions that continue to bring benefits to India. The last big military success on the Saltoro range happened during Sundarji’s tenure as COAS. The occupation of Saltoro is, of course, essential to dominate Siachen Glacier. And on Saltoro, the most difficult point was the Quaid Post, at 22,143 feet. Its name is a giveaway as to who controlled it. Thus, the most audacious plan during the entirety of Operation Meghdoot involved 8 Jammu & Kashmir Light Infantry evicting the Pakistan Army Special Services Group from this point. It earned the battalion the only PVC awarded thus far on the glacier, to Naib Subedar Bana Singh, and renaming it as Bana Post. As an important aside, the Pakistan Army’s Siachen Brigade Commander when they lost Quaid Post was Pervez Musharraf! Sundarji began his military life in the Mahar Regiment, and then converted to Mechanised Infantry. That conversion, in his case, was more than mere military and professional; it was intellectual too. He embraced the speed and dash of mechanised warfare, in toto. Recall it was still Cold War period, and both blocs plotted mass armoured/mechanised manoeuvres on the plains of Europe. Even as his troops sealed victory over Siachen Glacier, the possibilities of large scale conventional war always loomed. Hence his re-organisation of the Army along international lines. This legacy remains to this day, as a number of Divisions and some Corps bear testimony in their re-organised roles. Even if Exercise Brasstacks didn’t become operationalised, his vision and planning was put to test when India announced its Operation Parakram following the attack on Parliament in December 2001. Fatigued by insurgency and under-utilised equipment, the Army learnt valuable lessons from Parakram. 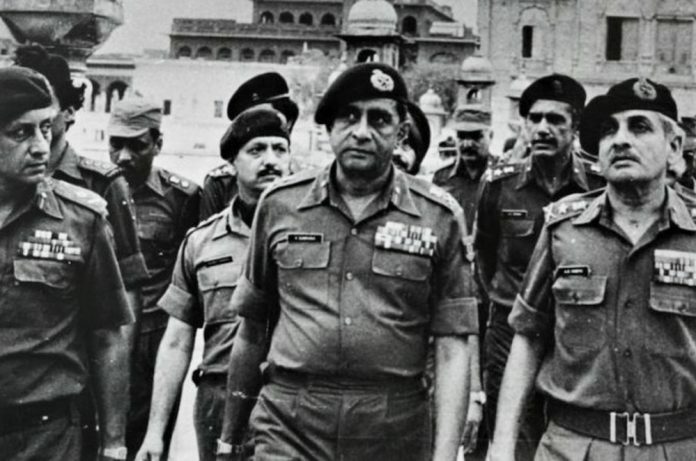 It is safe to say, therefore, that while the origins of India’s Cold Start doctrine are lessons learnt from Op Parakram, the intellectual roots lie in Gen. K. Sundarji envisaging quick breakout operations. What this meant is rapid independent initiatives undertaken to seize the advantage from the word go. A Cold Start doctrine would only have been possible if the given equipment and thinking was already available, and that is where Gen. K. Sundarji must be credited. What he provided back then continues to benefit India. Previous articleIs God the key to happiness and well-being?